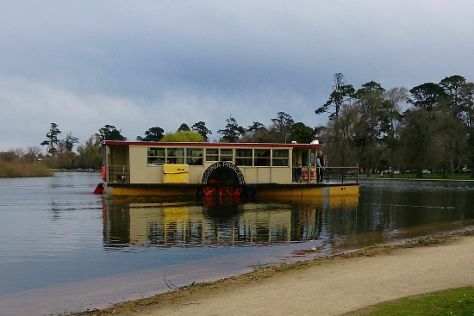 Step off the beaten path and head to Lake Wendouree and A Maze'N Things. Explore the numerous day-trip ideas around Melbourne: Ballarat (Ballarat Botanical Gardens, Lydiard Street, & more), Yarra Valley Chocolaterie & Ice Creamery (in Yarra Glen) and St Augustine's Church (in Creswick). There's lots more to do: admire the natural beauty at Royal Botanic Gardens, explore the world behind art at National Gallery of Victoria, browse the collection at State Library of Victoria, and take your sightseeing to a higher altitude at Dandenong Ranges National Park. For reviews, traveler tips, ratings, and other tourist information, you can read our Melbourne trip planner . If you are flying in from Singapore, the closest major airport is Melbourne International Airport. Expect a daytime high around 16°C in August, and nighttime lows around 6°C. Wrap up your sightseeing on the 16th (Fri) to allow time to travel back home.